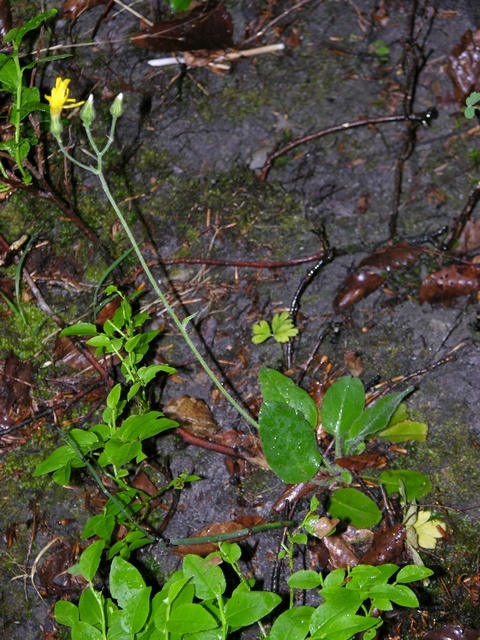 This species is characterised by the shape of the rosette-leaves and by the indumentum of the phyllaries consisting of only glandular hairs and a margin of stellate hairs. In Denmark very rare and only found on more or less open, calcareous ground in a beech-forest in Buderupholm Bjergskov near Skørping, Jylland. Basionym H. silvaticum ssp. integratum Dahlst. ex Stenstr. i Stenström, K. O. E., 1889: Värmländska Archieracier. Uppsala. p. 21. pro sp. Dahlstedt, H., 1892: Herbarium Hieraciorum Scandinaviae I 54-55.